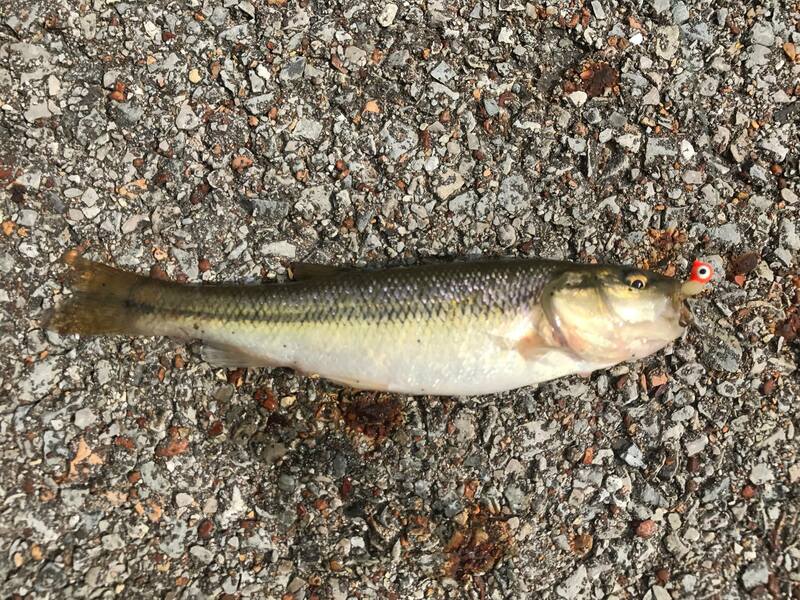 I didn’t get a good picture, but having a fish on the hot sidewalk for this picture hurt my soul as an angler, so getting it back into the water was my first concern. This might be the most “Species Hunter” post of my entire blog. After staying with my friend, Marcus Moss, in northern Alabama for a week of subprime bass fishing that culminated in a few gar and a lot of small bass, I headed to Nashville. I spent one night there, taking in the Music City before moving my way towards Pensacola, the next intended stop on my roundabout return trip to Oregon. As a sidenote, Nashville is awesome. One of the first cities to receive Google Fiber and (at time of writing) the cheapest airport to fly into, it has a lot to offer. The food, music, street art, and general vibe (I know, I hate that word, too) were generally impressive. I look forward to returning someday soon. But in all of the excitement, I forgot to fish. Realizing I never fished in Nashville as I made my way south, I wondered if there was any way I could stop and catch a fish in Tennessee before I made it back to Alabama. I’d never caught one in this state, and there were countless new species to be had even if I hadn’t really identified myself as a “Species Hunter” just yet. It felt like a longshot, but when I stopped for gas a few hours south of Nashville, I took note of the small, semi-stagnant creek I crossed en route to the gas station. After filling up, I crossed the access road, turned off onto a road that led to several houses and was dismayed to see fences blocking the access to the creek below. I thought about giving up when I realized that I didn’t need to touch the water — just access it. I tried dipping my jig (not a euphemism) in the water some 20 feet below, but the little fish I could weren’t having it. I had yet to discover microfishing and had no artificial baits. As my heart sank, and I went to put my rod away, a grasshopper flitted away from where it had sat, baking on the hot road moments before. I spent a minute trying to catch on one the road, and once I did, it paid off. Tipping the jig with a writhing, mangled hopper proved the right incentive to get the cyprinids below to bite, and I landed my first Creek Chub. I didn’t love dropping it down almost 20 feet to the water because fish care is important to me even when dealing with “trash fish,” but it swam away fine. Somewhat smugly, I tucked my ultralight back into the back of my car, closed the door, and hit the road again, one species richer. Read the next entry in #SpeciesQuest here: Species #92 — Spotted Sunfish.